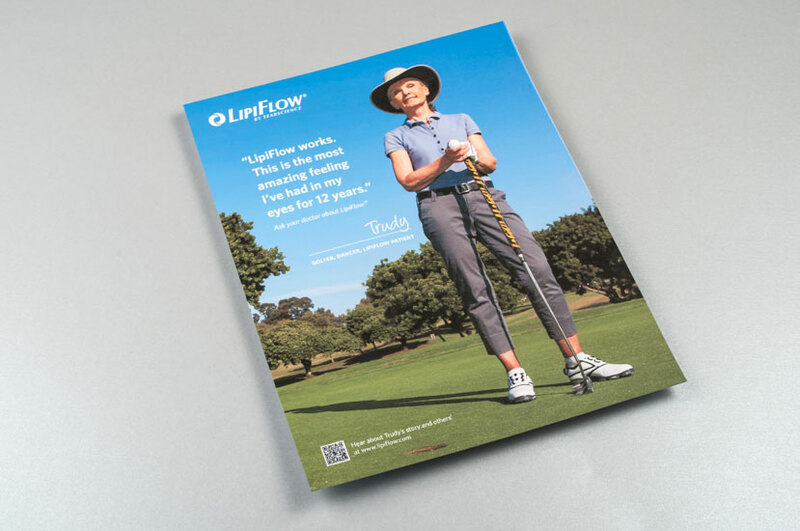 One of several customer testimonial ads in a campaign that features real people and their story of how LipiFlow treatment has eliminated their serious Dry Eye disease and improved their quality of life. The Lipiflow “Trudy” ads create a relatable nature that viewers can connect to. By highlighting the person and activity that they can now enjoy again through professional photography, viewers can get a sense of the alleviation they too could receive. Lipiflow is a Dry Eye treatment that helps eyes resume the normal production of lipids, thus curing people of Dry Eye symptoms. The company also seeks to provide people with information on Dry Eye, such as what symptoms might indicate it and where they can locate their nearest eye doctor.